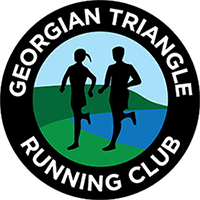 The Georgian Triangle Running club proudly supports the Team Unbreakable running program to promote healthy mind, body and spirit. Team Unbreakable consists of a 12 week running program for ages 13 to 19. No prior running experience is necessary as the runs will start out short and easy. We want to help those who have never run before discover a new ability. The first 12 week spring 2013 program was a tremendous success so we are running a 2nd fall program starting tentatively on September 18th, 2013. There will be a Wednesday and a Friday run for the 12 week period. Wednesday nights will begin with a motivational and educational speaker. The program is run from the YMCA in Collingwood. Running is an inexpensive sport! All you need is running shoes and appropriate clothing. Depending on the weather that can be shorts and T-shirt right up to sweat pants and jacket and a hat and gloves. Contact Nick Brindisi directly at: nick@inzaneplanet.com or call 705-994-3630. Nick will personally guide you through the necessary forms. These documents are required to be completed for participants, and one for volunteers. They are in Adobe PDF format.